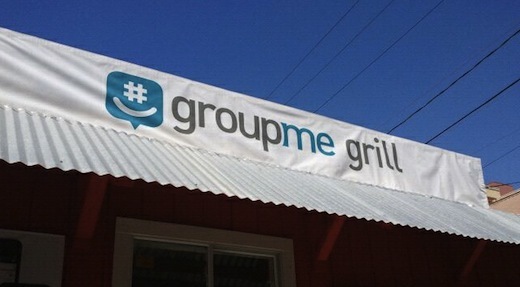 Microsoft-owned GroupMe, which enables groups of people to exchange messages on their mobile phones, has amassed 4.6 million users since it was started in May 2010, as of 27 June 2012. Furthermore, their users send an average of 550 million messages per month, The Next Web has learned. We dug up those numbers in court documents filed by GroupMe earlier this month, when it lodged a complaint against fellow NY startup Groupie over a trademark dispute. We’ve embedded the court docs in our post covering the row. GroupMe was cooked up during a hackathon at the TechCrunch Disrupt conference held in New York in May 2010. It turned into a full-fledged startup and ended up raising $11.5 million in funding from a host of renowned investors, including Khosla Ventures, First Round Capital, Lerer Ventures, General Catalyst Partners, SV Angel, Founder Collective and Betaworks. GroupMe became popular and was acquired by Skype in August 2011, which was itself acquired by Microsoft earlier that year. Looks like they’re still growing, too. In the court documents, GroupMe notes that it had 4.6 million users as of the end of June 2012, but that it would probably have greater numbers at the time of filing (which was 11 July 2012).